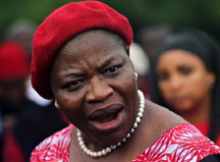 Former Minister of Education, Mrs. Oby Ezekwesili, has faulted the decision of the Joint Admission and Matriculation Board (JAMB) to reduce the cut off mark for admission into Nigerian universities to 120 and says it was like running a race from top to bottom. According to her, the exam body has outlived the purpose for which it was established. Ezekwesili speaking to newsmen in Abuja on Saturday, also suggested that rather than conduct entrance examination for university admission, JAMB should only be made to play a regulatory role while universities are granted autonomy to conduct their own entrance examinations. “I will say no and there has to be much more intensity in determining that the qualification attribute should be and once we do that, it will set us way back to early child education,” she said. “When I see society screening about this cut off mark they have done, I say you are wasting tears on a symptom. “You need to go to the root of the problem and that means we need to go back to the first phase in education which is early child care, basic education and secondary education which ultimately determine the readiness of our children to university education.